WHAT WE HAVE HERE IS NICE WORKING DIRECTV H25 RECEIVER AND REMOTE EXTENDER. The little plastic flip down door on the right side of the unit covering the card is missing. I will do my best to answer them to the best of my knowledge. Directv HR24-200 HD DVR Digital Satellite Receiver Direct TV Box - Working. Condition is Used. Comes with original remote and chords as shown in pictures above. No returns after 14 days. Directv H25 OWNED HD Direct TV H25-100 Receiver . Condition is Used. 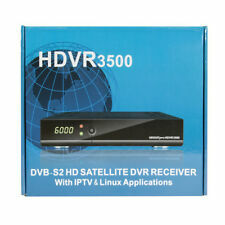 The HDVR3500 is the latest and greatest from GEOSATpro! Why Buy From Us?. We are an Authorized USA Dealer of GEOSATpro products. Video types: MPEG1, MPEG2, MPEG4, H.264, AVS, WM9. Automatic Internet Updates via WIFI or LAN. 4000 channels TV & radio programmable. MPEG-2 digital and fully DVB compliant. Firmware upgrade by Over-the-Air. Subtitle supported. Electronic Program Guide (EPG) for on screen channel information. Full Picture in Graphic (PIG) function. Fast, Free & Friendly Service! We also respond quickly to all inquiries with friendly responses and never the run-around. ViewSat VS2000 Platinum digital satellite receiver in good condition . Shipped with USPS Priority Mail. ViewSat VS2000 Platinum digital satellite receiver in good condition, tested. Condition is Used. Shipped with USPS Priority Mail. DirecTv H24-200 Satellite HD Receiver, Power Cord, HDMI Cord, and Remote. Condition is Used. Shipped with USPS Parcel Select Ground. Trending at $34.00eBay determines this price through a machine learned model of the product's sale prices within the last 90 days. The remote batteries have a best before 2013 date so you may need to replace them. Everything else is perfect. DVBS tuner and DiSEqC 1.2 support. OpticalS/PDIF outout. Providestereo and dual mono analogue audio output. Overthe Air (OTA) upgrade and download function. VideoOutput 4:3 / 16:9. Input Frequency : 950 ~ 2150 MHz. Sampling Frequency : 32, 44.1, 48 KHz. DIGITAL AUDIO OUTPUT Orders without a phone number cannot be process. Audio Outputs : Mono / Dual Channel / Stereo. 1 x User's Manual. Model D12-100 DirecTV Receiver used good condition. No power cable or remote. 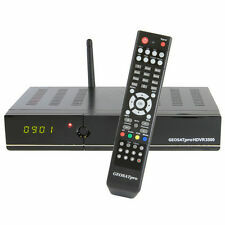 ViewSat VS Pro DVB FTA Digital Satellite PVR Dual USB Receiver w/ Remote Condition is Used. Shipped with USPS Priority Mail (1 to 3 business days). IN OVERALL GOOD CONDITION, MAY HAVE SIGNS OF WARE including scratches and scuffs. NO POWER CORD OR REMOTE INCLUDED. 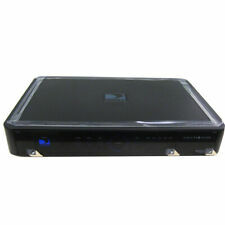 DirectTV Model HR34-700 1080p HD DVR receiver with Genie w/power cable. Trending at $29.97eBay determines this price through a machine learned model of the product's sale prices within the last 90 days. Like all nFusion models, it has an ethernet port for network IP-PVR and factory updates. It is wireless-ready so you can use wireless power line bridges with this receiver. Placing or loading third party firmware on any of our receivers will void our and the manufacturer warranty. DIRECTV D12- 700 Digital TV Receiver. Powers up. 4 out of 5 stars - DIRECTV D12- 700 Digital TV Receiver. Powers up. 99 product ratings99 product ratings - DIRECTV D12- 700 Digital TV Receiver. Powers up. USB 2.0 Host Support(MP3 Player & JPEG Viewer). Parental Lock / Receiver Lock. CVBS Video & Audio Output via RCA. TV ANT IN F-Type IEC 169 Female. S-VHS Video Output. TV OUTPUT F-Type IEC 169 Female chan 2/3. 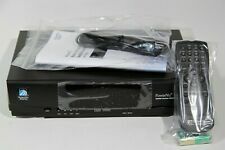 DirecTv H24-200 Satellite HD Receiver Used No Remote or power cord, untested. Condition is Used. Sold as is. Shipped with USPS Priority Mail. 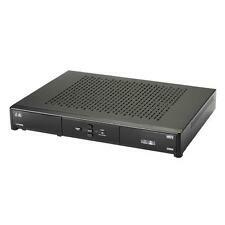 DIRECTV HR24 High Definition DIRECTV PLUS DVR Receiver. DIRECTV's HR24 HD DVR is the best solution for watching and recording TV. Sleek design with a touch sensitive panel. Operates quietly and is energy-star certified. BRAND NEW Direct TV HR44-200 HD DVR Satellite Receiver W/Power Cord. Condition is New. Shipped with USPS Parcel Select Ground. We will be happy to resolve the issue and work out a solution with you. H25 - 500 receiver. RF Modulator. Everything is in great shape but the remote does have a little discoloration on the back.see pictures. Directv Direct TV Satellite Receiver Model D12-100 With Remote Control & Cables. Condition is Used. Shipped with USPS Priority Mail. USB 2.0 Host. Excellent Condition! Product is in good condition. No cables or remote goes with this item. DirectTV H25-500 Receiver. Being sold AS-IS. This is surplus, excess product. It does NOT happen very often! -4-5ft HDMI Cable (may be different from what is pictured). -Access Card, (In Receiver). Xtreme VS Viewsat VS2000 Digital Satellite Receiver Only Fast Free Shipping! Item pictured is the exact item you will receive. Remote not included! Get it while you can! Because of my competitive pricing and super quick free shipping I tend to sell items fast! Feel free to PM me with any questions you may have. I usually ship the same day payment has been received. Check out my store for other great items! 4.5 out of 5 stars - Xtreme VS Viewsat VS2000 Digital Satellite Receiver Only Fast Free Shipping! 22 product ratings22 product ratings - Xtreme VS Viewsat VS2000 Digital Satellite Receiver Only Fast Free Shipping! Dish Network VIP 612 HD Dual Receiver/DVR, with a signal combiner, set up guide, antenna and Remote. Smart card included. There may be signs of usage. DUAL RECEIVER. Directv OWNED HR24 HD DVR Digital Satellite Receiver Direct TV HR24-200 . Condition is Used. This is not a unit that we have used. It is from a surplus lot. We tested with power and it powers on. No further testing was done. Includes power cord. Shipped with USPS Priority Mail.